Thank you everyone! We did it! 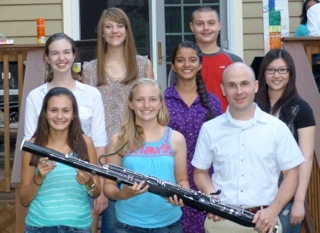 Some of Project Bassoon’s supporters, Alexandra, Julianne and Mr. Norton with the new bassoon. Thank you to everyone who came to the unveiling of the new bassoon. We had a lot of fun and we hope that you did too! After the party, Mr. Norton was able to leave with the new bassoon for the Parker Middle School Music Department. Julianne and Mr. Norton both played the bassoon at the party and it sounded great!! We can’t thank everyone enough for helping us with this project! We hope that you have realized the power that music has. Since we were able to raise more that $4, 133, the cost of the bassoon, the extra money that we have raised will be donated to the Parker Middle School Music Department. We hope that the money will be used to fix instruments, and possibly even purchase more! The bassoon is hard for many families to invest in due to the price. By purchasing a bassoon, we hope to provide an instrument for students at Parker Middle School and to help them find the joy in making music. 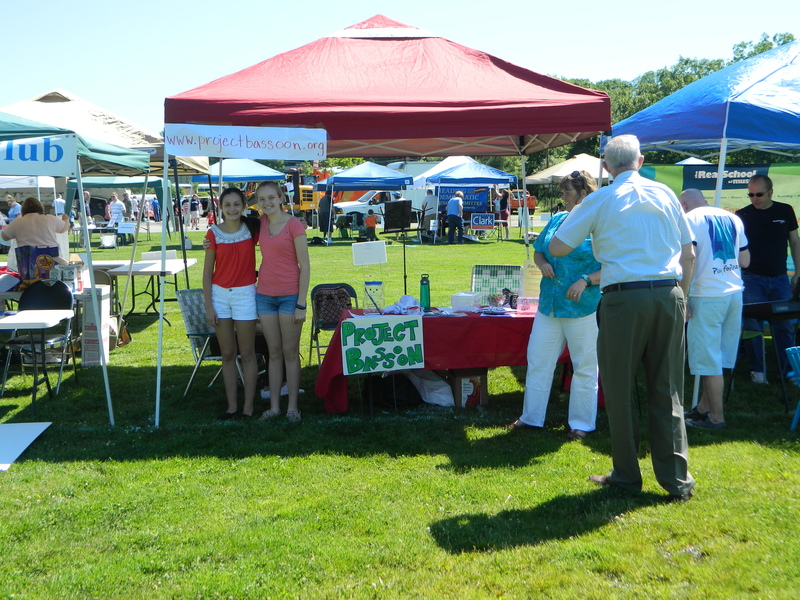 Be sure to read more about Project Bassoon’s mission and find out how you can Support Us! As Project Bassoon is beginning to wind down, I would like to look back at our journey. 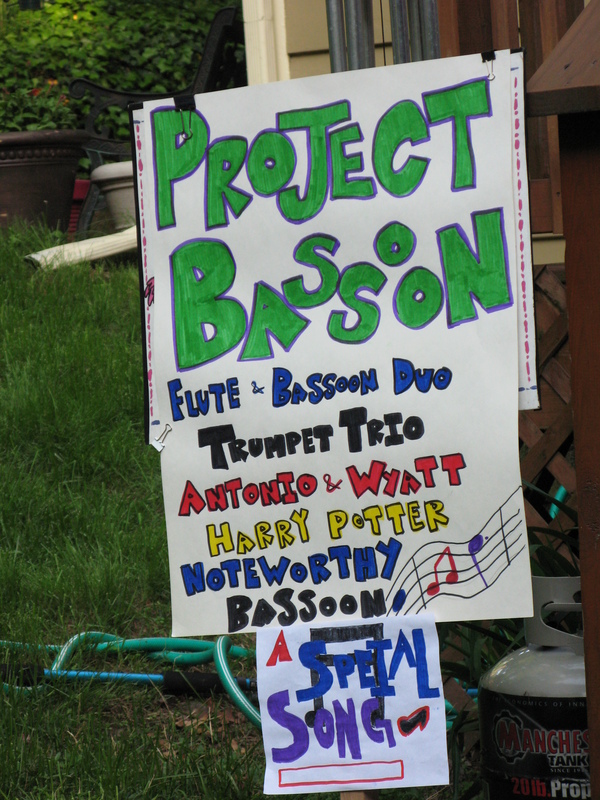 Project Bassoon first started with an idea, the idea was for others to play the bassoon. But there was a problem. The Reading school district didn’t own a bassoon and the instrument was expensive. So Julianne came to me, Alexandra, with the idea of the two of us raising over $4000 to buy a bassoon. Believe it or not, I really liked that idea. I hoped that our project and the new bassoon would encourage others to get involved with music. After we came up with our idea, we decided to tell Mr. Norton, our band director. But before we told him, we worked with our chorus director Mrs. DiMuzio. She was a tremendous help to the project, as was Mr. Norton. At first we were going to keep the bassoon a secret from him and then surprise him at our first concert, but we couldn’t wait. And we didn’t know how to publicize the concert without his help. So, in band, we told Mr. Norton. We decided to announce it in front of the entire 8th grade band at the end of a rehearsal. The entire band was packing up the chairs and music stands so that the band room could be cleaned and Julianne and I told Mr. Norton that we had a surprise for him. We were really excited and I think we freaked him out a bit. He thought we were setting him up for some kind of joke. But at the end of the rehearsal we told him and he said, “Cool.” very unenthusiastically. We just laughed because we knew he was excited but this was not quite the reaction we had been expecting from him. When I was asked how I was expecting him to react, I never really gave a straight answer because I honestly didn’t know. So, Julianne and I decided that he should have at least done a lap around the band room and banged the gong a couple of times because he was so excited. Just kidding. After much advertising, many flyers, emails and a rehearsal later, at last it was time for our first concert. As many people know, our first concert was held at Julianne’s house on a Thursday night. We had been working hard to prepare for it and we had an amazing group of musicians lined up to perform. 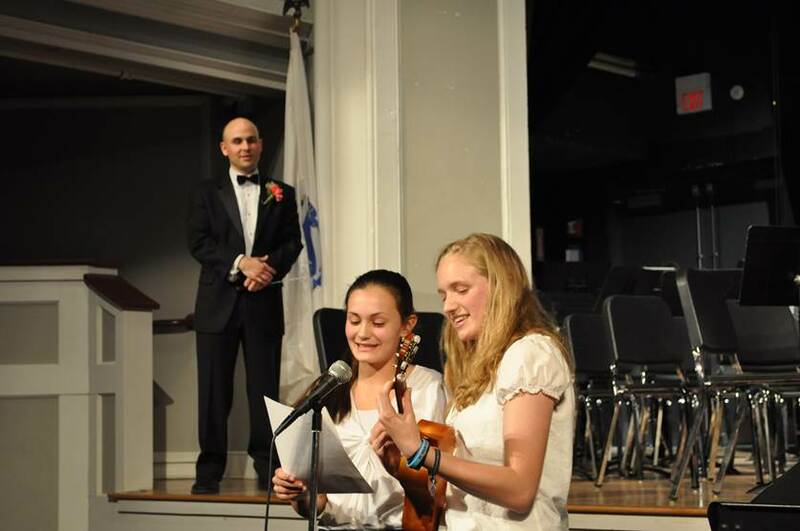 The musicians really did do a great job and I had a lot of fun performing and watching everyone else perform. This first concert also served as the debut of “The Bassoon Song”, which Julianne and I wrote. We changed the words from the popular song “I’m Yours” by Jason Maraz and it turned into our theme song. We later went on to play it at the 6th, 7th and 8th grade concerts at Parker. At the concerts at Parker Middle School, Julianne and I made an announcement about Project Bassoon to the audience and then went on to sing “The Bassoon Song.” We sang the song three times overall. Each time, I was amazed at how much the audience liked the song and how much they appreciated us getting up in front of all of the families and student performers to sing. Personally, singing the song was easier than making the announcement! I had a lot of fun at those concerts too. We then proceeded to collect money after the concerts in the main lobby. The crowd at the second concert. Our second concert was held at my house. Before the concert, our families, Julianne and I were very nervous about it. It was supposed to rain the night we were having it and we weren’t sure what to do. We had about 20 student performers coming to play. We were hoping that people would come. But the concert was supposed to be in my backyard. 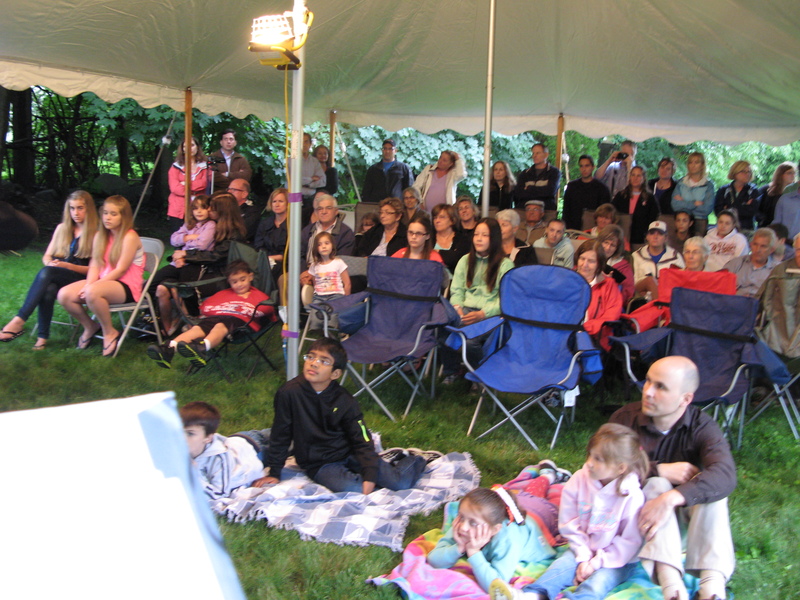 To solve this problem, Mr. Mike Manna donated a 20 by 30 foot tent for Project Bassoon to use for the concert. We were very grateful because the show could go on! Then we added two small 10 by 10 foot tents to the end of the huge one. We needed all of that space too! About 90 people showed up! Throughout our project, we were lucky to have been supported by the Reading Symphony Orchestra. The RSO let us play at their tent at Friends and Family Day. Julianne and I walked around Friends and Family Day in Reading and sang The Bassoon Song. 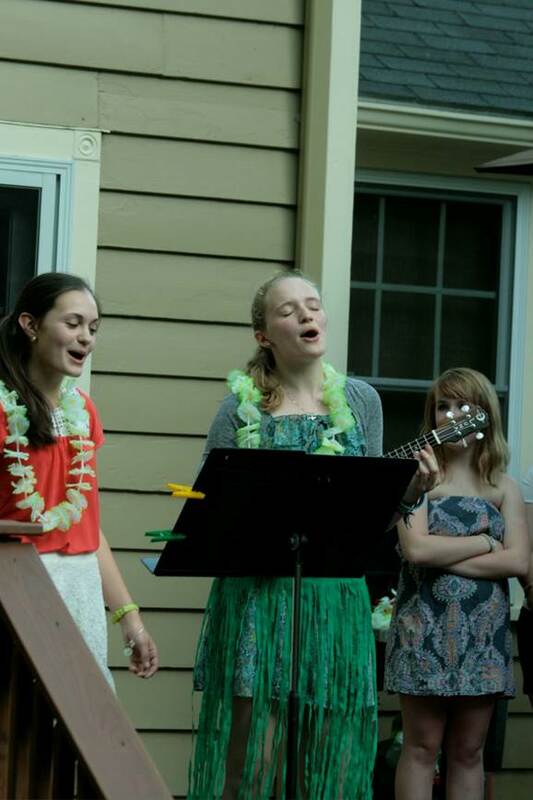 I carried Julianne’s bassoon while she accompanied us on the ukulele. We got some odd looks but we also got a lot of publicity. Then, back at the RSO tent, there was a donation bucket for anyone who wanted to support us. Thanks to Mrs. Danielle Curran, we were able to raise about $150 at that event and we were able to play and sing “The Bassoon Song” after the symphony had played. We were also able to get to know the RSO and play a duet at an Orchestra get- together. Also, a BIG thank you goes out to our mothers, Vanessa Mulvey and Carla Nazzaro for their support and insight they gave to us during the project. Whether it was providing their houses as performance spaces or purchasing the hula skirts for our theme song, they were always there for us! Thank you! After the fundraising was done, we were able to send out thank you letters to all of the donors who donated with a check. That was surprisingly fun because Julianne and I got to write personalized thank you notes to the people who have supported us instead of just writing a general thank you to everyone online. Once the bassoon came in to Music & Arts, it was delivered to Parker and then Julianne was able to pick it up. We then had a party to thank all of Project Bassoon’s supporters and unveil the new bassoon. We weren’t quite able to reach all of the student performers and their families. We had a great time though, and Julianne and Mr. Norton were able to try the new bassoon! Thanks to everyone who helped us succeed in our project. We appreciate every little thing that you all do! We have had a lot of fun with our project and once again, get involved with music!! You’ll soon understand the power it holds. Below is a video of the Project Bassoon theme song performance at the first concert.